Planning a visit? Let us help! 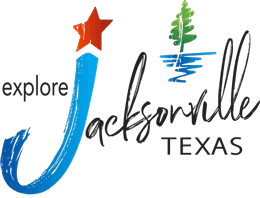 Shoot us a message and we’ll help you explore Jacksonville. Looking for a quick answer? Browse our Frequently-Asked Questions. Are there publicly-assessible areas of Lake Jacksonville? Absolutely! Lake Jacksonville offers three public boat ramps, a public campground with screened shelters, utilities and showers as well as RV pads. There are also two public swimming areas. And, of course, 1325 acres of public water to explore! How do I reserve a campsite on Lake Jacksonville? You can reserve online 24/7/365, at or call 903.586-3510 (Monday through Friday, 8 to 5). What are the best times of the year to visit? That’s a question that’s relative to your recreational preferences, but Jacksonville offers something for every season! Our renowned Tops In Texas Rodeo bursts onto the scene in mid-May, with the annual Tomato Fest following quickly after on the second Saturday of each June (a popular event for three decades running). In July, our Fourth of July Fireworks presentation over Lake Jacksonville creates a big splash. Then, once Fall is ushered in, visitors are welcomed by a myriad of autumn colors gracing the plethora of hardwoods filling the ample forestry blanketing the margins of our highways and byways. At for the holiday season, our downtown merchants rev up the scene with shopping events. And, of course, year-round excitement can be found at River Run MudPark. So, pick your season, but be sure to pick Jacksonville! I'm looking for a special venue for my wedding - what does Jacksonville offer? We are blessed to have a number of exceptional wedding venues to accommodate all tastes, whether casual, rustic, formal or romantic (or a little bit of all for an eclectic event). And, of course, all of these venues are nestled into the photoready backdrop of the East Texas landscape. Win, win! Alternatively, email us any questions and we will reply as quickly as possible. We look forward to being a part of your next adventure.